Members and friends of The Quilters' Guild of NSW Inc are invited to the October Friday Showcase in the Guild's Office to view this quilt and hear Jan Foster's story about the walking foot and freemotion quilting expertise she applied to bring the above wholecloth quilt "alive" with line, pattern and texture. Jan is another of the guild's volunteers working in conjunction with the committee to deliver interesting events for members. Jan is one of the Friday Showcase team who arrange the ongoing programme of introducing quilters to the guild 's Showcase attendees; quilters who may have a long involvement in the industry or who are experts in their creative field. Almost every month there is a new and exciting story to be heard from the quilters that Jan has arranged to talk about and share their work. October Friday Showcases however, are an opportunity for all members to have their own "Show and Tell"
Perhaps there is a wholecloth, "flimsy", Applique, Friendship pieced, Antique or even a recent workshop project in your sewing space that other members would enjoy seeing at this meeting. Please come and share your stories, your quilting journeys and 'show us your quilts'! Vibrant sewing accoutrement receptacles, as being taught by Wendy Williams. Wendy Williams is a well-known quilting teacher. This workshop is a great introduction to working with wool. 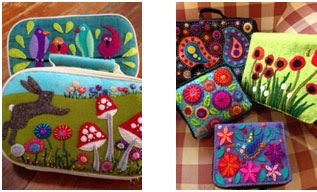 Wendy makes wonderful vibrant award winning quilts from wool felt. 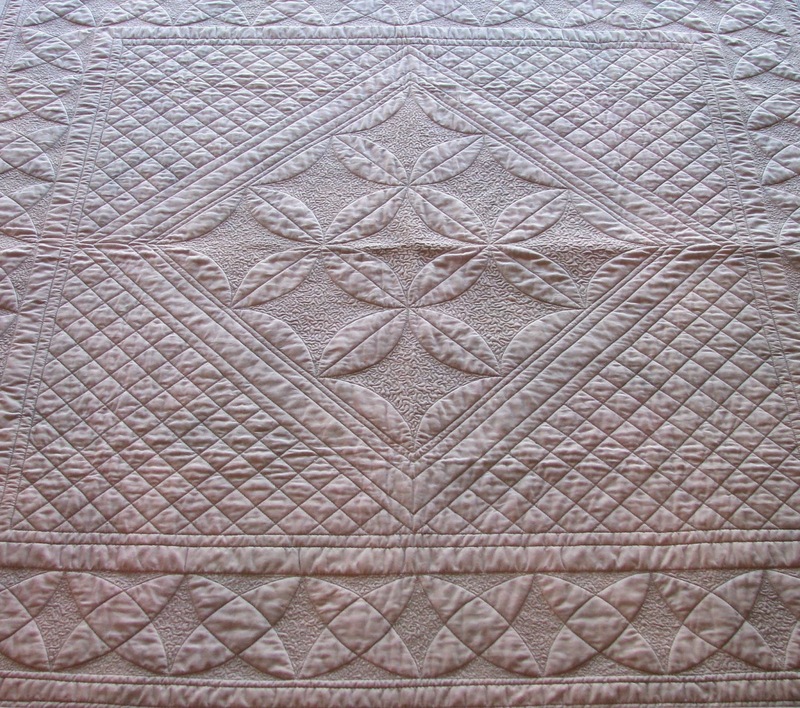 She won fourth prize in this year’s Sydney Quilt Show in the Mixed Techniques -Anything Goes category. In this workshop, make a cushion or a beautiful sewing case and take away ideas and inspiration for more projects. A workshop Application form is on Page 34 of the August edition of The Template. Please call the Guild Office immediately should you be interested in joining this workshop. This Saturday afternoon the 20th September Ros Moules, the Community Quilts Co-ordinator, will give a talk about the history of the Community Quilts program of the Quilters' Guild of NSW Inc. She will also show us a number of the quilts and quilt tops that the group are currently working on. We have a new venue for the QSG of NSW talks now at The Glover Cottages on Kent Street in The Rocks area. The cottages were built in the early 1820s and it is a wonderful light filled venue in an historic section of Sydney. It's easy to walk there from both Wynyard and Circular Quay train stations, and is also a short walk along Kent Street from the bus terminal in Argyle Street (catch any bus along George Street with Millers Point as the destination). Don't forget to stop at The Rocks Markets on the way and see what takes your fancy.